Magnetic sticker pieces featuring characters, animals and themed objects for arranging on the fold-out scene/background. So far I’ve created 6 sets for US company Interplay. 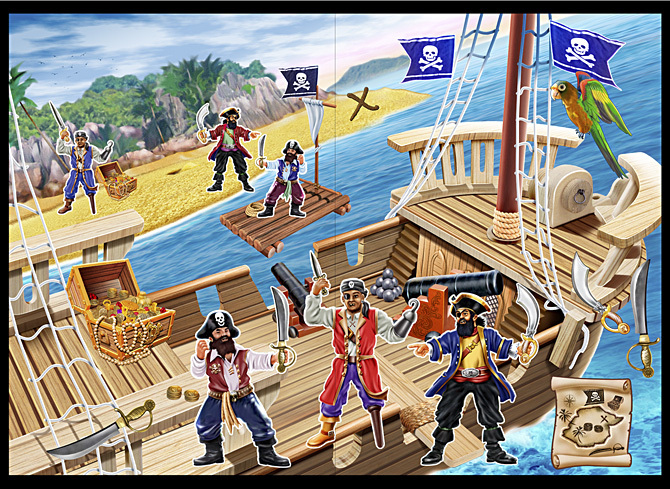 Shown here is the Pirate set. Please see the others in this section including Aquarium, Construction and Christmas and also the games section of my Showcase for more. There are great fun to work on and a real pleasure to watch young children actually using them.